Seamless siding from ABC Seamless of Albuquerque is the best cladding option available for your home in Bernalillo, New Mexico, or any of the surrounding areas. 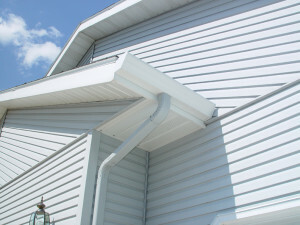 In business since 1989, we have been installing highly durable siding that is designed to hold up to all of the elements. And, because we custom fabricate our cladding on site, we are safely able to guarantee that it will flow seamlessly from side-to-side on your home. Not only does this method make the exterior of your home look beautiful, but it also allows you to no longer have to worry about leaks, cracks, or breaks. And, we stand by the quality of our siding so much that they come backed by an incredible limited lifetime warranty in addition to the already impressive manufacturer warranties on all of the products that we offer. For more information about the seamless siding selection offered by ABC Seamless of Albuquerque to homeowners in Bernalillo, NM, and the nearby communities, contact us today. Or, feel free to stop by our impressive showroom to see all of our products in person.